Mobile operators who’ve missed out on the revenue created by the explosion in popularity of mobile apps can now set up and launch their own innovative app stores that feature the latest mobile apps and games, with by Opera Software’s announcement today of its Opera Subscription Mobile Store for operators. Already live with five different operators on three continents, the white-label Opera Subscription Mobile Store harnesses the deep app and game catalog of the Opera Mobile Store, now one of the three largest app stores in the world. With the Opera Subscription Mobile Store, operators can create their own “all you can eat” subscription stores, in which consumers pay a small weekly fee to download as many apps as their smartphones can handle. 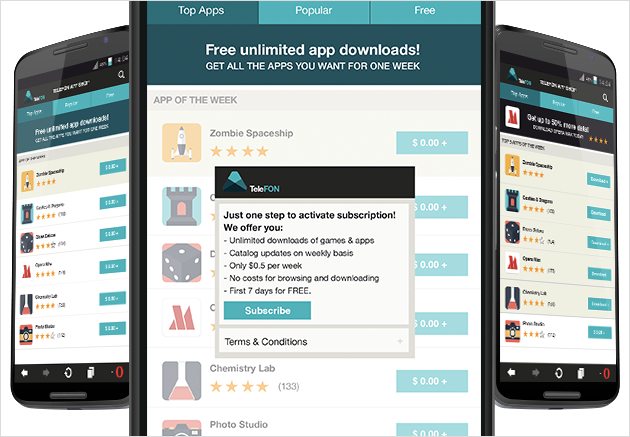 The Opera Subscription Mobile Store provides operators and their customers with premium apps selected from the Opera Mobile Store’s 300,000 apps and games. These are available on over 7,500 different mobile phone models across popular platforms, including Android, Java, Symbian, and BlackBerry. Popular downloads include Minecraft, Angry Birds Star Wars II, My Talking Tom and Ice Age. Opera continuously rotates and refreshes the apps in the store, with a steady stream of new apps being created and added each week by thousands of developers. Opera created its Opera Subscription Mobile Store as a managed service for operators that allows them to participate in and benefit from the lucrative app market. Opera takes care of virtually all of the app store’s operational and administrative tasks (such as developer payments) on the operators’ behalf. It also partners directly with operators to focus on how best to market the Subscription Mobile Store to their consumers. Learn more about the Opera Subscription Mobile Store at http://www.operasoftware.com/products/subscription-mobile-store/.